Happy post–4th of July weekend (that’s what this is, right?)! I hope everyone had a great day, filled with family, friends, fireworks, and lots (and lots) of food. I am in my hometown for the summer, so it was nice to spend the day surrounded by dear family and friends. My town also has a variety of fabulous Independence Day activities, including a town-wide parade and a fireworks show at night. My sister (E) and I forewent the parade in favor of a huge pancake breakfast cooked by my father. It was the smart decision – blueberry pancakes are always the correct choice. I didn’t have the forethought to take pictures, but here is the link to my pancake recipe. Just substitute the chocolate chips for blueberries – breakfast nirvana. With my belly full of pancakes and my veins rushing with sugar, I jumped at the chance at helping my dad build an arbor. It was hot, dirty work and I was glad when E’s BF finally came (he was spending the weekend with us). All I wanted was a shower and a beer. And this is what came with the beer. 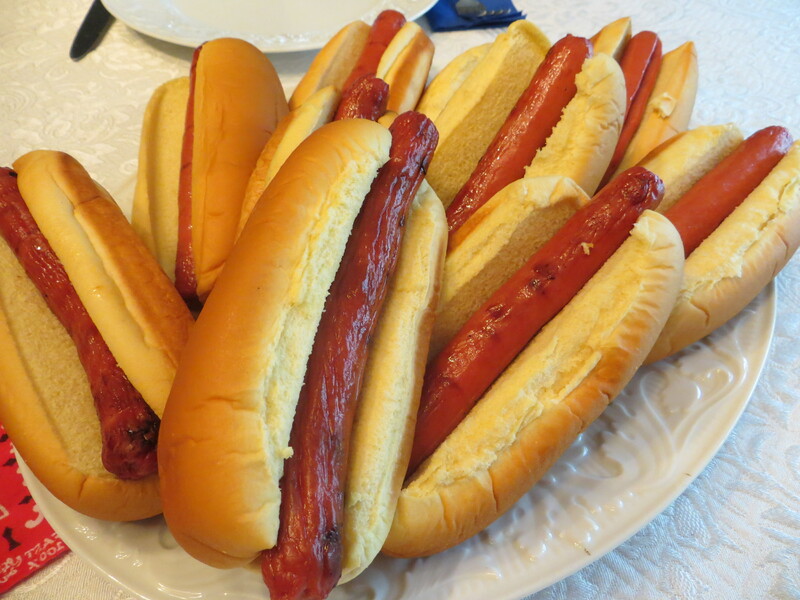 I love hot dogs and grilled chicken. They are the perfect picnic food – especially if the picnic happens inside an air-conditioned house. 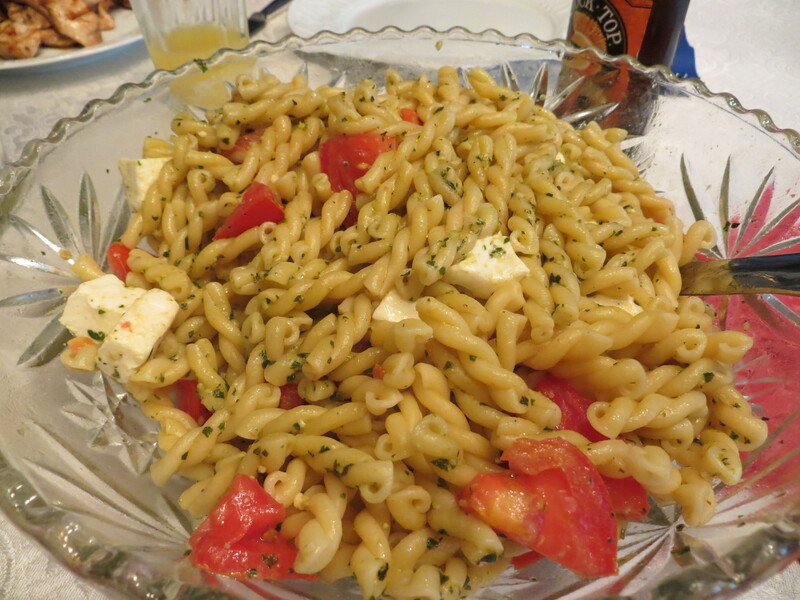 We served up the burgers and dogs with awesome pesto pasta salad with farmer’s market tomatoes and fresh mozzarella. It made me happy. 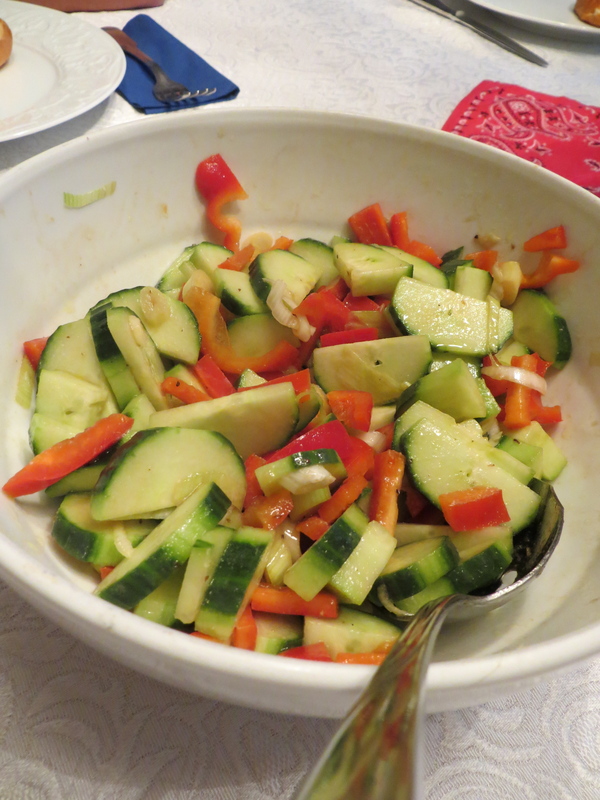 As much as I loved lunch with all its picnic fixings, what we had for dinner was better. 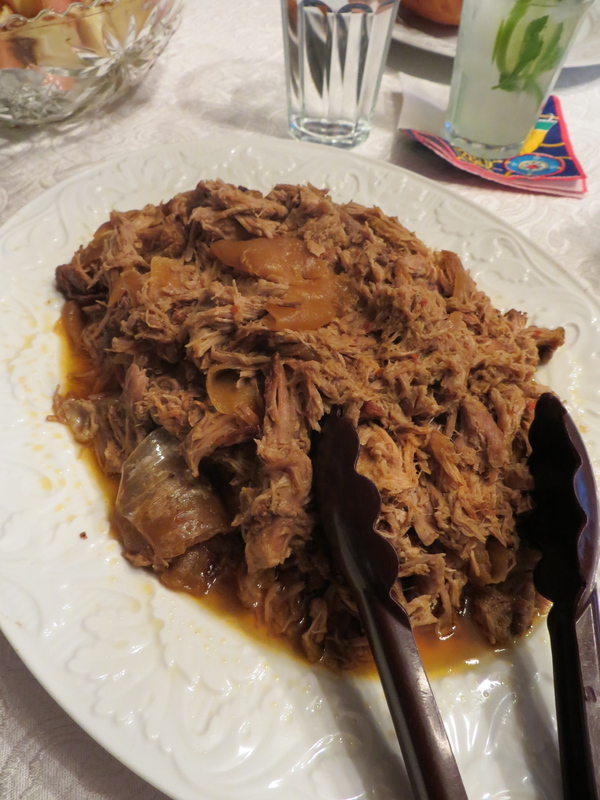 If you don’t know what this food nirvana is, this is Carolina-style pulled pork (a vinegar-based sauce). 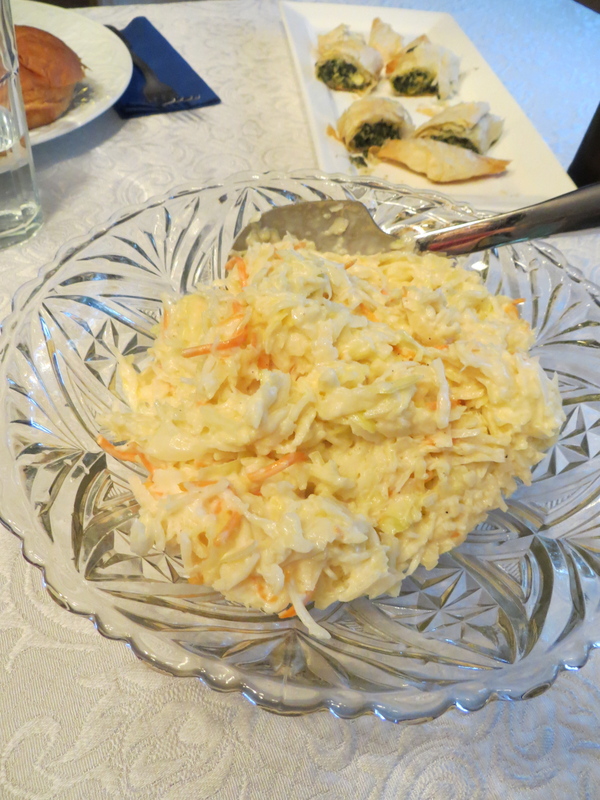 My mother served it with multiple sides. 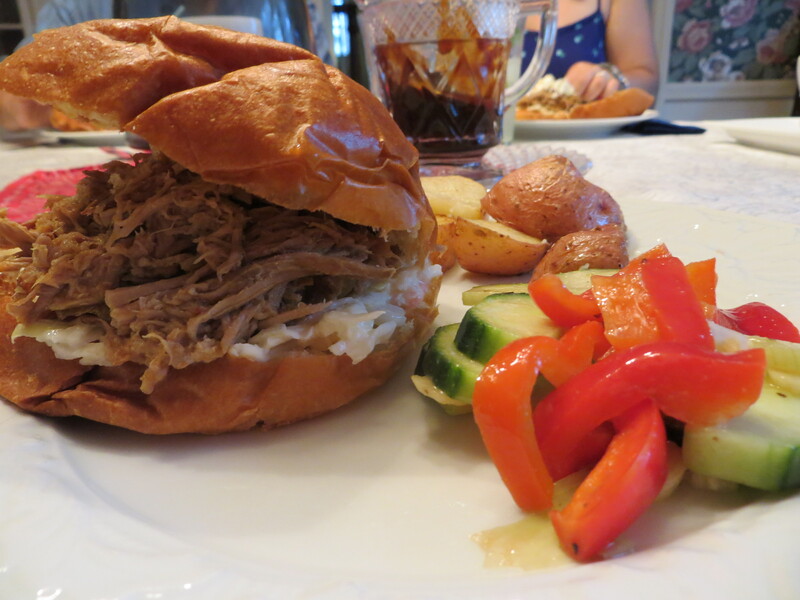 Or you can put the coleslaw on the brioche roll with the pulled pork and put the cucumber salad on the side. Or put that on the roll too. That’s the amazing thing about pulled pork – there is no right way to eat it. So make it for your next crowd gathering and reap the benefits of an easy meal that pleases everyone. Yet for me, the best thing about 4th of July (besides the food) is family. My grandma came out to the town fireworks with us for the first time in many, many years. 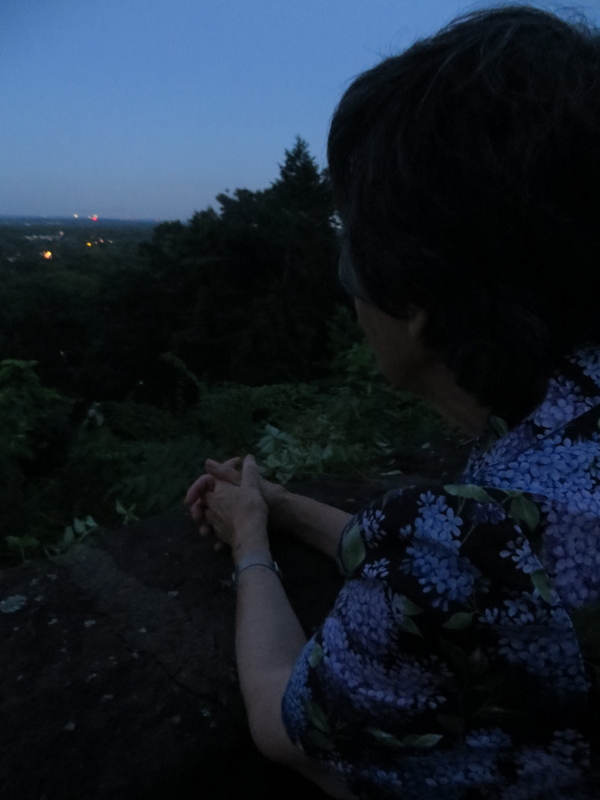 I had to snap this (slightly dark) photo – she was like a child watching the fireworks for the first time. It was wonderful to be able to share this day with her. So dear readers, how was your 4th of July? 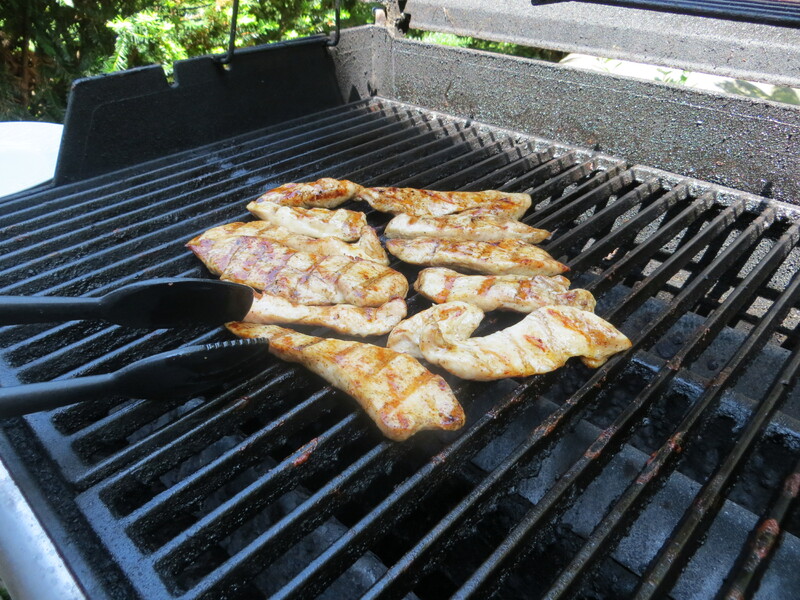 Did you go all out and have a big BBQ with all your friends and family or a date night with your sweetie? It looks like you had a yummy and productive 4th!